A month after its world debut at the New York International Auto Show, the all-new 2019 Cadillac XT4 is back in the news, this time with the announcement that pricing will start at a cool $37,900 (plus a delivery freight charge of $2,000) when it goes on sale this fall. That makes the XT4 one of the most affordable products in the subcompact luxury SUV segment. Considering that the Buick Encore is in a class of its own at $26,100, only the Audi Q3 and INFINITI QX30 have a lower MSRP. As for the equally new Lexus UX, which is also expected to arrive at Canadian dealerships in the fall, we have yet to learn how much it will cost. Additionally, potential customers should take note of the new trim strategy being rolled out with the 2019 Cadillac XT4 (not to mention the 2019 CT6 full-size sedan). Above the well-equipped Luxury model will be distinctive Premium Luxury and Sport models that add specific content and styling cues to match different customer tastes and preferences. 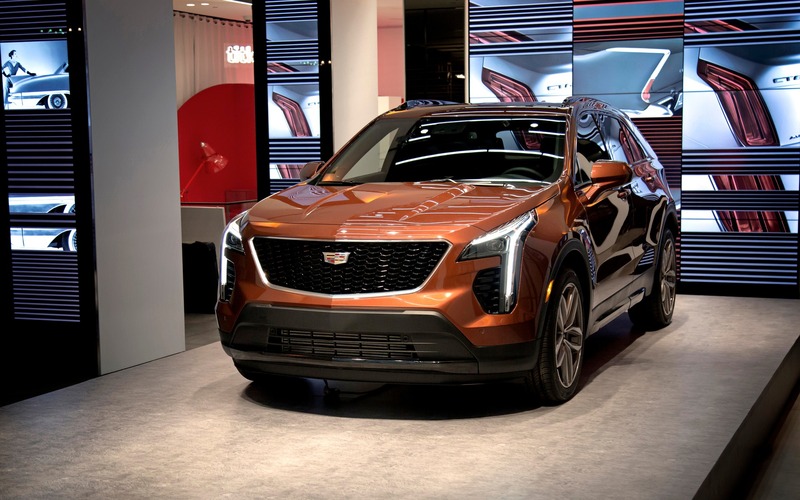 Cadillac says the XT4 is “tailored for the next generation of luxury customers.” Compared with the brand’s larger XT5 crossover, it boasts an exclusive architecture and a slightly more expressive design appealing to a younger demographic. At the same time, it is unmistakably a Cadillac with simple, sculpted lines and powerful proportions. Inside, the refined cabin makes thoughtful and artistic integration of technology including the latest-generation CUE infotainment system as well as Android Auto and Apple CarPlay. Look for segment-leading rear-seat space, too, making the XT4 a more practical option than most if not all direct competitors. What about performance, you ask? Well, the lone engine choice will be a 2.0-litre turbocharged four-cylinder rated at 237 horsepower and 258 pound-feet of torque. Cylinder deactivation technology and a nine-speed automatic transmission will help reduce fuel consumption. And if you’re interested in towing, which is often not recommended in this market segment, you’ll be pleased to know that the Cadillac XT4 can pull up to 1,588… kilograms, not pounds (for the record, that’s 3,500 lbs.). We’ll be doing a first-drive review of the new 2019 Cadillac XT4 in the coming weeks, so don’t miss it if you want a lot more details! Last week, news started circulating about the demise of the ATS sedan, but GM Canada has just confirmed that the ATS coupe will be axed as well. In order to get its assembly plants ready for a new generation of Cadillac sedans, the compact ATS won’t be back for 2019.